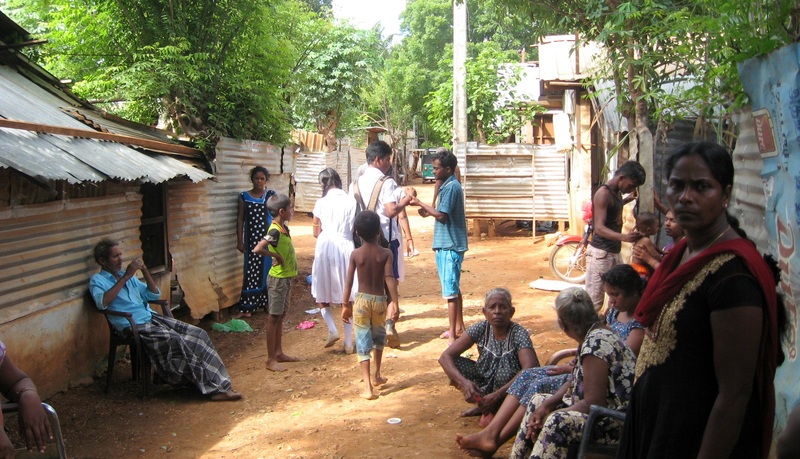 Some 30,000 people remain internally displaced in northern Sri Lanka. Some 38 refugee camps accommodate 1,536 families. A displaced Tamil talks ​​about life in the Neethavan camp, on the Jaffna Peninsula. Each shelter is home to 2-3 families, or 10-15 people, without electricity and poor sanitation. Security remains a problem. Video shows conditions in the Konatpulam Tamil refugee camp. Colombo (AsiaNews) – “If we do not get our land back by the end of the year, we will go to a famous place and set ourselves on fire. One person from each of Sri Lanka’s 38 Tamil refugee camps will do this. Those who burn to death might not go back home, but their families will,” said Vijaya Raajaa, a young Tamil refugee ​​living in the Neethavan refugee camp near Jaffna, northern Sri Lanka, home to scores of people who fled their lands during the country’s civil war. The Tamil refugee’s protest comes a few weeks after another group of refugees threatened massive actions should the authorities fail to listen to their demands. Also recently, the National Fisheries Solidarity Movement (NAFSO) released a study about the current conditions of the Tamil population. It shows that some 1,536 families, or 5,836 people, live in 38 refugee camps. The study also shows that the Jaffna Peninsula is home to 30,000 Internally Displaced Peoples (IDPs). It found that 2-3 families, or 10-15 people, live per shelter. About 55 per cent of the shelters lack electrical power. Inadequate sanitary facilities have to be shared. Without electrical power in the camps, security is an issue. No one dares go outside at night. The Neethavan camp is about six kilometres from Jaffna and has been in operation since 1990. At present, it holds 58 families: 111 men, 116 women (15 of whom are head of the household), and 65 minors. Most families are Hindu; seven are Christian. A video showing the conditions in which people live was shot in another camp, that of Konatpulam, illustrating the hardships Tamils have to endure. Vijaya said that his father disappeared in 1995, when he was 11 years old. His mother was left alone to raise him and his two siblings. Now he has to care for his mother, wife and two kids. “This is 151st time I tell my story of suffering and sadness,” he said bitterly. “We do not want anyone’s help, not even the government. So many have come to listen to us, but no one has done anything. We do not want assistance aid anymore. All we want is to get out of the camps and go back to our villages." The refugee said that Tamils ​​do not believe the "promises made by the government and [aid] organisations. Everybody comes here; they give us food, and then they leave. I hope someone puts poison in the rice they give us; at least we’ll die without realising it. We can’t go on like this." Now monsoon rains are expected at the end of the month. Every year, they cause a lot of damage. "We got some tents from one organisation but they are broken and must be repaired. They gave us six nails for seven tents. We have to buy the others, but we don’t have the money."